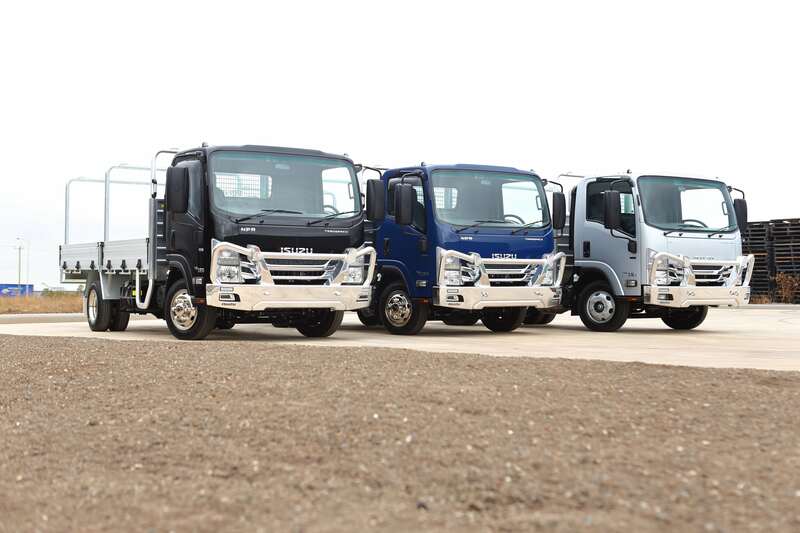 Christmas has come early for Aussie businesses seeking efficient, economic, reliable light-duty trucks with an end-of-the-year Isuzu Trucks’ promotion featuring selected models from the Ready-to-Work range. Until 31st December, with every purchase of an eligible Isuzu Ready-to-Work Traypack, Servicepack or Tradepack, customers will walk away with a $1,000 Visa Gift Card*. With a surprise gift bonus like this, Isuzu’s got your Christmas shopping covered this festive season! Sturdy and reliable, Isuzu’s NLR 45-150 Traypack comes with a heavy-duty aluminium tray, integrated load restraint anchor points and removable drop sides and rear tailgate, making a handy addition to any trade application. 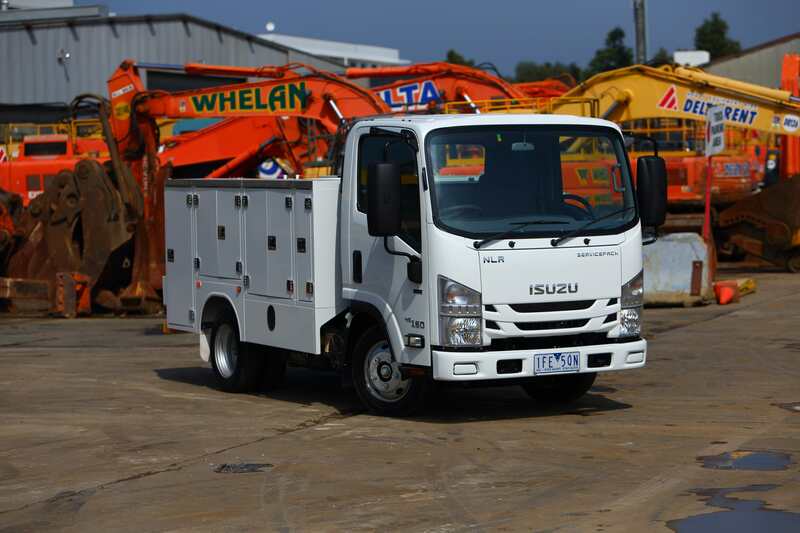 With a gross vehicle mass (GVM) of 4,500 kg and fitted with Isuzu’s 4JJ1-TCS engine (110kW @ 2,800 rpm; 375 Nm @ 1,600–2,800 rpm), the Traypack is the ideal workhorse to take any trade business to the next level. From hauling loads to transporting equipment and machinery, the Traypack is built with versatility in mind—definitely a truck you can always count on to show up and get the job done. Built for the orderly transport of equipment and tools for field service applications, the Servicepack’s tough, fully powder-coated steel service body with a range of storage compartments allows operators to store equipment safely, securely and in style. Each compartment is cleverly integrated with the vehicle’s central locking system and comes fitted with LED lighting—meaning an end to lost or mistaken tools, regardless of the time of day or night. While the sturdy service body takes care of the tools, the rear grab handles and non-slip step surfaces ensure the safety of the operator in wet, sandy or muddy conditions. For the organised tradie, Isuzu’s NPR 45/55-155 Servicepack comes with seven lockable storage compartments and a central storage bay with chequer-plate floor and load-restrain anchors. The NPR 45/55-155 Servicepack has two GVM ratings of either 4,500 kg or 5,500 kg, as well as a power of 114 kW @ 2,600 rpm, and torque of 419 Nm @ 1,600–2,600 rpm. For those tacking more difficult terrain, the ‘big brother’ of the range—Isuzu’s single-cab 7,500 kg GVM NPS 75-155 Servicepack (Crew model also available)—comes with no less than nine lockable, LED-lit compartments, catering to just about every trade or service-related need. The NPS 75-155 Servicepack is fitted with a 5.2-litre Isuzu 4HK1-TCN engine, which generates 114 kW @ 2,600 rpm and 419 Nm @1,600–2,600 rpm, giving the truck enough muscle to easily transport heavy loads through conditions other trucks would struggle with. The Isuzu Tradepack line-up represents the ultimate companion in any trade situation, and sports galvanised ladder racks and integrated load restraint anchor points to provide maximum security for the transport of any load. Stand out from the pack with Isuzu’s NPR 45/55-155 Tradepack (4,500 kg/5,500 kg GVM), available in black and blue paint in addition to existing white and silver models. 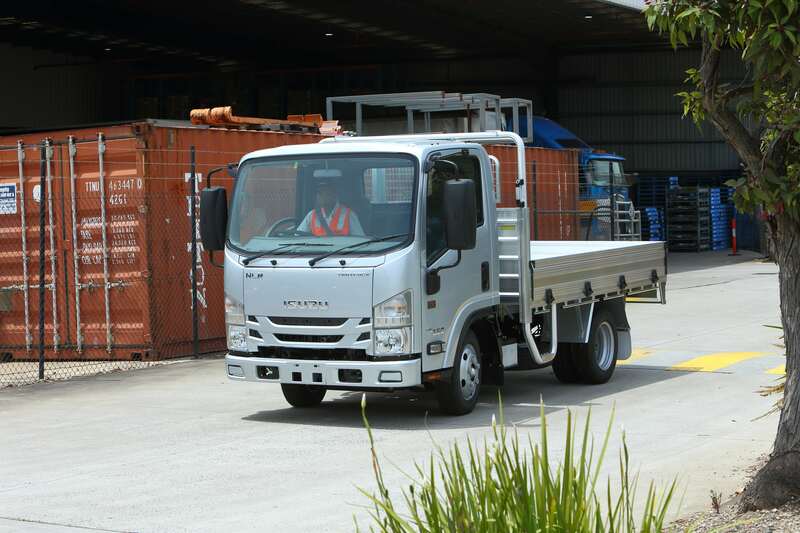 Equipped with Isuzu’s 4HK1-TCN engine, these trucks produce 114 kW @ 2,600 rpm and 419Nm @ 1,600–2,600 rpm. All Isuzu Tradepack models are equipped with satellite navigation and a reversing camera, making driving a breeze. And the 3,500 kilogram–rated tow bar also means you can expect to tow a serious load. Isuzu Australia Limited National Sales Manager, Les Spaltman, said festive promotions like these are an exciting way for Isuzu to thank its loyal customers. “We wouldn’t have achieved 29 consecutive years of market leadership without the backing of the Australian truck buyer. “With Christmas just around the corner, Isuzu takes this opportunity to thank our loyal customers for their continued support of the brand,” Mr Spaltman said. “The Ready-to-Work range is spot on for efficiency, reliability and productivity for Australian tradespeople and this offer makes it an even more compelling business proposition.”.